Plotting was simple with previous draft novels, even when there were two interweaving plot arcs. But how did I end up with three parallel ones? More important how should I be writing this novel? Draft blurb for “Seeking a Knife”: Welsh Detective Sergeant Sparkle Lodge suspects that the death of a researcher is linked to the priceless 200 year-old Memoirs sent to Nadine Palmour, a Native American journalist. Is Nadine descended from the author of the Memoirs, an English naval officer, Talcott Wendell? Is the theft of his naval dirk in 1920 a cold case that has to be resurrected? Three POVs in three separate settings, two separated by location – North Wales and Texas – and the other by historical time – the memoirs are from the War of 1812, between the USA and the British in Canada. I recognise that there are three different areas of research, three sets of character sketches, but are three outlines that gradually weave together? I had initially planned to do all the research, character sketches, and then one interweaving outline of the whole novel. I have a rough outline so know how the novel should unfold – and a time line for the present day arcs. But the great plan hasn’t worked out beyond those elements. 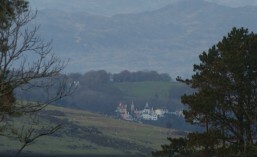 My first POV character, a Welsh Goth in the North Wales Poice arrested me. Who wouldn’t want to develop a character based on Abi in NCIS? So I have her sketched out, and a few lines on those she interacts with. Worst of all I have written around 10,000 words that cover the first third of the novel from her POV. Do I stop? Do I continue with her story, until she meets the Native American? Or should I just work on the parts that inspire me? The first Wednesday of every month is officially Insecure Writer’s Support Group day. This is my attempt to talk about my doubts and the fears that I am trying to conquer. I want to be encouraging, and by posting perhaps this is a way of saying keep striving. 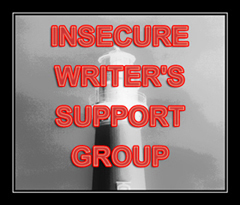 Visit IWSG and some other great bloggers, not all as insecure but great fun. The awesome co-hosts for this February 4 posting of the IWSG are Gwen Gardner, Dolorah, Sarah Foster, and M. Pax! 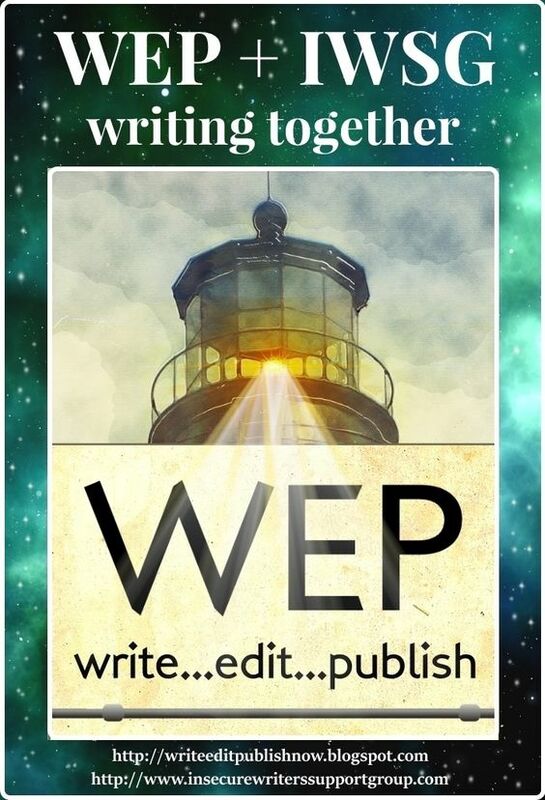 This entry was posted in Ideas, Wales, Writing and tagged Insecure Writers Support Group, IWSG, novels, outlines, Pauley Perrettey, plotting, Seeking A Knife, War of 1812. Bookmark the permalink. I’m sure you’ll figure them out. So you are trying to weave them together? Or are you going to give it a go at leaving them parallel? Thanks for dropping by and commenting, Loni. At the moment they are parallel only because that’s the way they start and the way they are being written. But they gradually weave together – the Memoirs getting sent from Wales to Texas, then phone calls, until finally the characters meet physically. The first novel of my trilogy presents three intertwining threads as well, though the threads are all contemporary. I plotted the three threads separately, thought I was aware of what I wanted from all of them and that I needed to let them touch on places. Then I rorte the first draft, beginning to end, having in mind the outline and trying to intertwine the threads as best as possible. Then I dismembered the novel and worked on each thread separately, so that I could concentrate on each thread on its own. I revised each thread twice. Then I put everything back together and revised the novel in its entirety. I made three revisions of this last form. Personally, if you still intend to intertwine the three threads, I think you should work on all three at the same time. Thsi way, everything will move together. If you’re stuck with your Goth character, this may mean that the story has different ideas of how it wants to be told. Maybe she is really the MC and the threads that you planned are actually further evolves in the story. I’d say, if you’re enjoying what you’re doing, than by all means go on with it. But you may be forced to rethink the structure of yoru novel. Thanks Sarah. Writing the three intertwined threads together makes total sense. Problem is that my Goth is crying out to be written, so it looks like I will just add notes to the expanding outline of the other plotlines until I feel that they too are crying out to be written. But then I need to do some new research. There is also something that I didn’t say in my blog. I have the first draft written of another thriller – Fates Maelstrom – which will be revised with a Wales setting. And it is looking as though it will be my Goth detective’s first case, so I need to know more about her. I know that got the stories round the wrong way….. but that’s my madness again. Interesting how you wrote “Gorgito’s Ice Rink”, Elizabeth. Been sitting on my Kindle moving up slow-reading list – think I’ll move it top, if three plotlines. As I said to Jazzfeathers, I’ve got hooked on my Goth DS, so doing what you recommend. Many thanks. If her voice is strongest, continue on that path. It may take you in yet another unpredicted direction.